Discussion in 'General Info about Internet Casinos' started by Marina, May 11, 2015.
of the highest bidders. 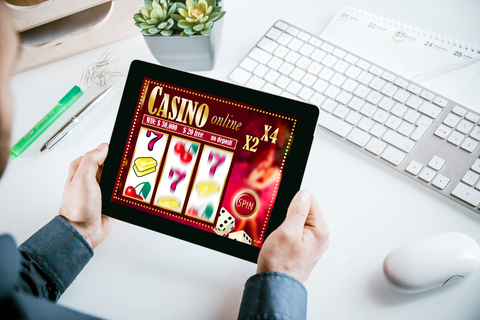 While other countries have murky, at best, tips for finding a legitimate online casino, the UK has some guidelines laid out to help online gamblers not get trapped in a scam. high roller who wants to put money down on some online poker. There are also other telltale signs about whether an operator is compliant with the UK’s gaming laws. Each site, in order to have and keep their license, must provide information on how to gamble safely. dispute. Finally, it should also provide information on how to protect young and vulnerable people from making serious mistakes with their money that they might not be aware of. If the casino you’re looking into doesn’t have one, or any, of those pieces of information, they are either acting without a license or they are simply noncompliant with their responsibilities as a license holder. your money? In either of these cases the UK may take action against the casino and there is no guarantee that you will get your money back from any predatory casino. information regarding withdrawal limits. The withdrawal limit won’t tell you if it’s a legitimate casino or not, but it is something nice to know. second thoughts about putting their money into it and making it more likely to go under rather than giving it a fair shot at continuing to operate. country but the countries that it may serve, some don’t. Finding out where your site is located can make all the difference. If the site has an unknown origin then don’t put your money in their hands. This should give you a good idea about what the ins and outs are regarding the online casinos you’ve been shopping around for. Pretty simple, right? Now go out there, spend wisely, and make some money! This is a really needed article and answers a lot of questions. Thank You. Thank you for another great article Marina!